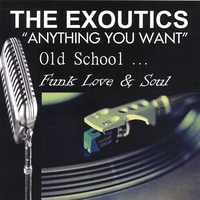 The Exoutics, from Buffalo, New York, have recently been inspired by the trend to recapture an old school soul music. They are poised to explode onto the national music scene with their new album called, “Anything You Want” Old School Funk, Love & Soul.” The Exoutics' performances are energetic and powerful with their musical repertoire consisting of emotional ballads and funky crowd pleasing dance tracks. The Exoutics warmed hearts of their long time fans with their debut concert performance at Shea’s Performing Arts Center on Friday May 11, 2007. They opened the 70’s Soul Jam Concert with The Stylistics, The Emotions, Heatwave, and The Chi-Lites. Click here to listen to one of their songs!